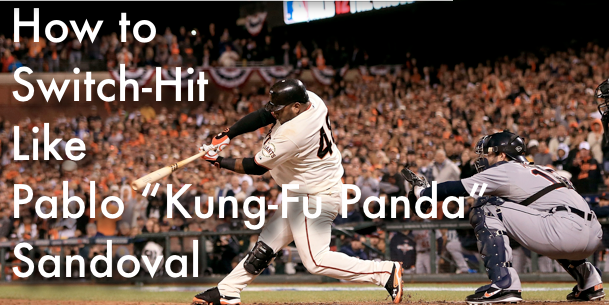 Who is more fun to watch at the plate than Pablo Sandoval? As of right now…I can’t think of anyone who is more entertaining at either sides of the plate! In this “How to” baseball video tip, I’ll be sharing with you a couple of tips that will help you to become a better switch-hitter if that’s the jump you’re trying to make. They’re are many advantages to switch-hitting that we’ll discuss in a later video. In this video you’ll learn the mind-set and a few mechanical approaches that will give you a bit of an advantage. Please let me know in the comment’s down below what kind of baseball tips you’re looking for and if I missed anything. Don’t forget to spread the word by hitting the LIKE button! Thanks guys!